The Netherlands tops OECD countries for high life satisfaction among its young people in numerous studies. 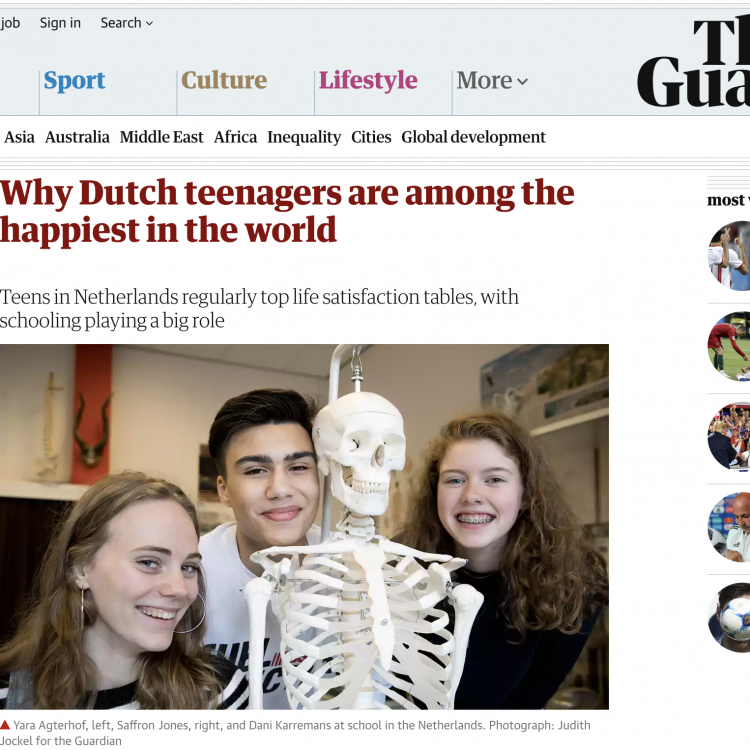 The Guardian published an article on: "..why is this flat, damp country of 17 million people with its history of Calvinism and colonialism so good at giving young people an optimistic outlook?" Curious? Click on the image to read the article.